Moving with kids is a big and hectic transition for many families. Leaving an old home for a new one is stressful for both parents and kids. It means that both the parents and the kids have to say goodbye to their friends and neighbors, change work, change school and probably develop new routines. To make the process of moving with kids easier, you need a plan on how to handle the challenges associated with the move. 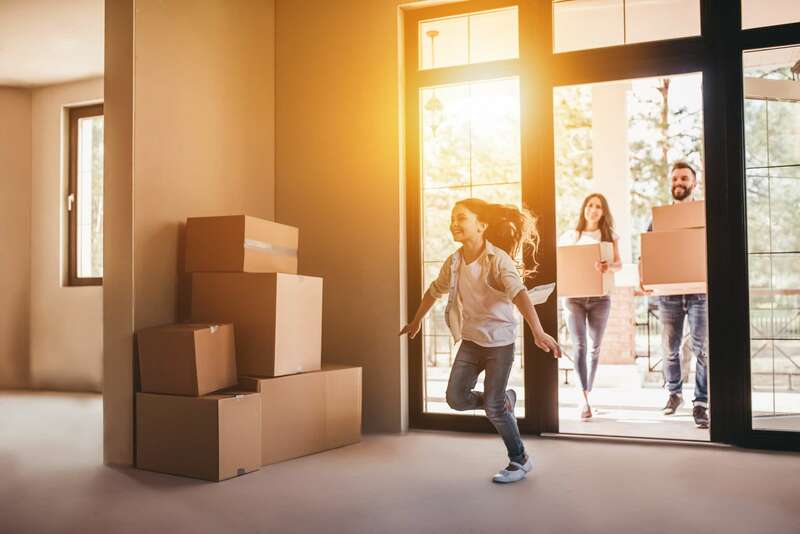 Even though you can’t eliminate all the possible stressors of moving with children, the plan will help ease the effects of the move you and your children. The best way to prepare your kids psychologically for a move is to discuss the move with them in time. Give them as much information as you can on why you have to move, when the move will occur and some good things about the new home. They will probably ask questions; answer them truthfully. Children don’t always understand why they have to move from one home to another so expect any kind of reactions towards the move. Involving your kids in the move to a new home prepares them for the move. Let them be part of the search for the house, cleaning the new house, packing the luggage and unpacking them at the new home. These tasks arouse your child’s excitement towards the move and makes a big difference in their feelings towards the move. Let them pack their items on their own, customize their moving boxes with their names and let them decorate the boxes, it helps create some excitement about the move. If you are in a position to visit the new home with your kids before the move, please do so. If possible, show them around the new neighborhood, school and recreation facilities. Not every parent is in a position to do a visit to the new home before the move, if you are, please do. It helps open their minds to the new home. The logistics of coordinating the move with your moving company can be stressful and may make your children feel overlooked. It could actually make you overlook your kids. Some movers customize the move to meet the unique needs of their clients. These moving companies take some measures to ensure that children are well taken care of during the move. When you’re looking for a mover, skim through their websites to see if they offer childcare services on the move or other services which make the move easy on kids. Moving means that your kid will leave their old school, friends and neighbors. This creates fear about the move. A goodbye party at school or at home will be a sign of appreciation for time spent with his/her old friends, ensures a good closure to old relationships and initiates the start of new relationships. If possible, invite your new neighbors and their kids to the party. If you are going on a trip, allow every kid a suitcase. This will make it easy to separate the kids’ items and easy to find specific items. This also cultivates a form of responsibility in your kids because each of them will feel responsible for their items. Kids get excited over little things and a few surprises related to the move may have a positive impact on their attitudes towards the move. 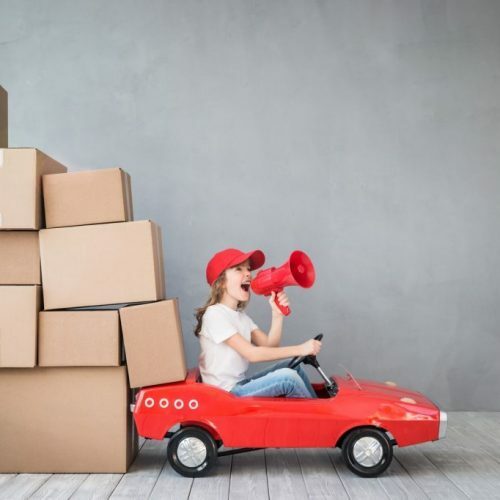 Buy some toys, snacks or promise them a stopover during the move at some exciting place and it will definitely work up their morale towards the move. Drastic changes in traditions and routines may have a negative impact on your kid because they may have difficulty in adapting to the changes. Keep the same room arrangement as in the old home, same family traditions, same wake up time, etc. You probably won’t keep every routine the same but if you have to change anything, make the change gradual. A drastic change may spark some rebellion from your kid towards you. After moving in to the new home, try to unpack you kids’ items before unpacking the rest of the household items. Get his or her new room in order and try to keep his items in the same arrangement as in his or her old room. Keep the old family routines and schedules at least for the first few days until they adapt to the new home. If they have to start going to their new schools immediately, go along with them and meet their new teachers. Inform the teachers of any vital information about your kid that would help that adapt to the new school fast. We hope that you found this post insightful. For questions, comments or more information on moving, please feel free to get in touch with us.